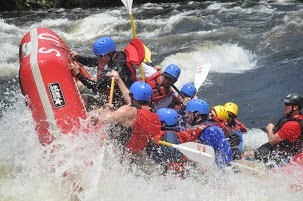 We offer whitewater rafting at it's finest with Class III, IV & V rapids in Maine. 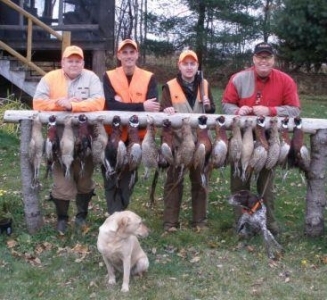 Silverton Sporting Ranch is Maine's premier upland hunting preserve with pheasant hunting 7 days a week August through December. Customers can bring their own dogs or we have guides with dogs available. Sporting Clays and 5 stand courses offer opportunities year round to break clay targets with lessons and equipment rental available if needed. Pheasant hunting and clay targets make great corporate outings. Cabins are available for rent. 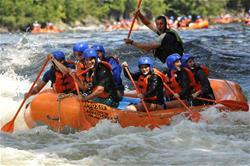 The wild rivers of Maine provide whitewater rafting and river adventures for fanatics to families. 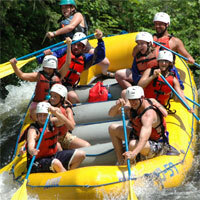 Take a guided rafting trip or enjoy an inflatable kayak or and multi-day canoe trip. Moxie Outdoor Adventures base of operations are conveniently located in the heart of Maine's wilderness areas. 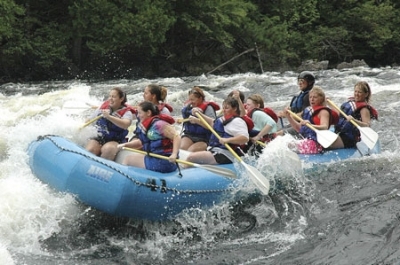 For whitewater rafting on the Kennebec or Dead Rivers, Moxie Outdoor Adventures is based at Lake Moxie Camps on the shores of pristine Lake Moxie in The Forks, Maine. Welcome to the Moose River Golf Course located in the Jackman-Moose River Maine Region. We offer a 9 hole, par 31 golf course nestled in the western mountains of Maine. Magic Falls Rafting Company is Maine’s fun, safety-conscious, value-priced whitewater outfitter offering raft trips on the Kennebec and Dead Rivers from May through October. The base camp is located along the banks of the Dead River and includes a campground with tent site and cabin tents, a lodge with double and bunk rooms and restored farmhouse inn for groups. Magic Falls offers the area’s only outdoor climbing wall. 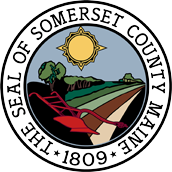 Other facilities include a recreation pavilion, outside basketball court, float tubes, volleyball court, horseshoes and hot tub. Magic Falls is famed for its multi-magic trips on the Kennebec which offer two consecutive runs of the Class III-V whitewater of the Upper Kennebec Gorge.